Alcohol is a potential risk factor for pneumonia, but evidence is limited. A new meta-analysis now combines data from 14 observational studies and finds that alcohol consumption can increase the risk of pneumonia. The results are published in the scientific journal BMJ Open. What is already known? Evidence on the association between alcohol consumption and pneumonia is limited. A previous meta-analysis found a slight increase in risk per standard drink, but only a few studies were included. What does this study add? In the meantime, more studies have looked at the association between alcohol consumption and pneumonia. This new meta-analysis combines these observational studies and additionally looks at the dose-response analysis. This meta-analysis includes 14 studies with a total of 280,000 people1. The individual studies are difficult to compared because they used very different reference groups, ranging from <30 drinks/months or <100g/day for men and <80g/day for women to no alcoholism. Overall results show that there is an 83% increased risk for those who consume alcohol or in higher amounts compared to those who do not drink or the lowest intake category. When only studies who compared alcohol vs. no alcohol consumption are taken into account, an increased risk of 61% is found. Additionally, 4 case-control studies are pooled for a dose-response analysis. Here, an 8% increase in risk of pneumonia is found for every 10-20g alcohol consumed per day. Alcohol is a potential risk factor for pneumonia. 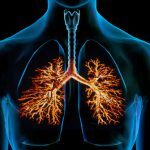 There are several possible mechanisms that could explain the association between alcohol and pneumonia. First, alcohol has sedative properties which can reduce the oropharyngeal tone, leading to an increased risk of aspiration of microbes. Moreover, high levels of alcohol intake can modify alveolar macrophage function, hence diminishing pulmonary defence against infection. Pneumonia is an acute infection of the lungs. The most common causes are community-acquired infections. Pneumonia is more common with increasing age, in those who smoke or have low body mass index, and with comorbidities such as respiratory disease, CVD, stroke, dementia, and liver or renal disease1. Annually, pneumonia is responsible for approximately 230,000 deaths in Europe2. No evidence of publication bias. Reference groups of individual studies are very different and therefore difficult to combine. Confounding in individual studies cannot be explored or corrected for in meta-analysis. Unclear how many people were included in the 4 case-control studies that were used for the dose-response analysis. 2. Marshall, D. C., Goodson, R. J., Xu, Y., Komorowski, M., Shalhoub, J., Maruthappu, M., and Salciccioli, J. D. Trends in mortality from pneumonia in the Europe union: a temporal analysis of the European detailed mortality database between 2001 and 2014.Respiratory Research, 19(81), 2018.